Labeling is mission critical in maneuvering today's global supply chain. Think of your labels as the passport that enables your shipments to make it through the supply chain seamlessly. Unfortunately for many companies, their existing labeling systems can not meet today's challenges – in fact, they can create a number of obstacles that create costly delays and disruptions. Global standards and regulations, errors and manual processes can hamper global expansion. However, these challenges can all be overcome with the right Enterprise Labeling Solution. Regulations and standards are a fact of life for companies. If you want to be able to operate, especially in a global business environment, compliance is mandatory. There are many regulations that pertain to the required data on your shipping label in order for it to make it through the supply chain, and those rules continue to evolve. Even in your home country, regulations aren’t static. You might have to create multi-lingual labels for your packages to enter some markets. Let’s say you’re shipping chemicals – many countries have a Globally Harmonized System of Classification and Labelling of Chemicals (GHS for short) policy in place that requires colored pictograms an other necessary information to be included on labels. Abiding by all of those regulations can lead to delays and disruptions in the supply chain if you don’t have a system in place that allows you to quickly change the information to keep pace with evolving reguations. An Enterprise Labeling Solution helps you overcome this challenge. It allows you to dynamically manage labeling and support the variability due to complex and ever-changing regulations. With an Enterprise Labeling Solution, you can change and update labels in hours or days rather than months. The Eaton Corporation provides an excellent use case to illustrate this point. The company implemented Loftware’s Enterprise Labeling Solution to enable it to meet regulatory requirements in the markets in which it operates. Thanks to Loftware, meeting compliance requirements is no longer a headache – it’s an automated, streamlined process. Moving to an Enterprise Labeling Solution prevents errors as well as saves time. Commscope, Inc. wanted a faster, more efficient method to create accurate labels. The firm implemented Loftware’s Enterprise Labeling Solution to solve these challenges. After implementing Loftware, Commscope, Inc. recouped its investment within six months. The company was able to eliminate delays and downtime associated with labeling while creating more consistent and accurate labels. Moreover, Loftware helped Commscope, Inc. scale labeling to business growth while complying with regulations and industry standards. Today’s business world is global. You might be located in Iowa, but your customers could be in Australia. One of the things that make global business possible is the right labeling solution. While that might sound hard to believe, we’ll illustrate the point with an example. What if your company couldn’t produce labels that would meet Indian labeling requirements? You’d be missing out on an enormous market. Enterprise Labeling Solutions help businesses achieve the growth they desire. We’ll use a case study from Molex to show the importance of these solutions. Molex manufactures electronic, electrical, and fiber optic interconnection systems. Before moving to Loftware’s Enterprise Labeling Solution, Molex had serious problems with mislabeling. Moreover, the company’s growth was not satisfactory to executives. Regulatory compliance and meeting industry standards had also become growing problems for the firm. Molex chose Loftware’s Enterprise Labeling Solution to make these issues a thing of the past. After implementing Loftware, the company realized an 80% reduction in mislabeling. In addition, it was able to comply with regulations and fulfill industry standards. Labels are critical and have a significant impact on the supply chain. Incorrect labels, or labels that don’t meet regulatory requirements, prevent a package from reaching its destination – costing you money - and result in unhappy customers. 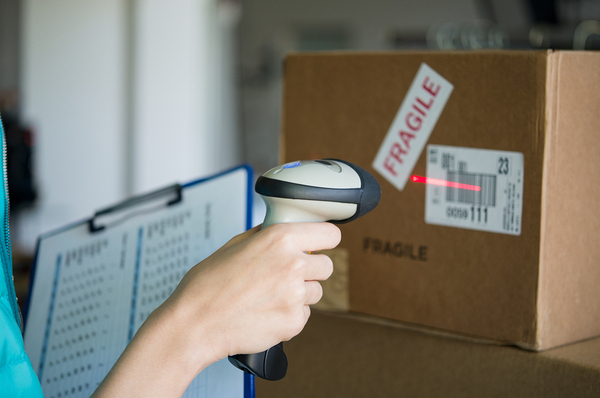 An Enterprise Labeling Solution solves those problems by keeping you compliant, ensuring correct information appears on labels, and smoothing your shipment’s path through the supply chain. To learn more about Enterprise Labeling Solutions, download our Enterprise Labeling for Dummies Guide. How Can an Enterprise Labeling Solution Help You Overcome Challenges? An Enterprise Labeling Solution helps you overcome the challenges mentioned above so the supply chain flows smoothly, your company maintains its stellar reputation, and your revenue continues to grow. For a start, anEnterprise Labeling Solution integrates with your existing business applications. It pulls the information you need from those applications, eliminating the need for error-ridden manual data entry. Not only does this capability drastically reduce errors, it makes label creation dynamic because the information within business applications isn’t static. Moreover,Enterprise Labeling Solutions allow you to easily meet customer demands. You can apply business logic so that you can comply with customer-specific demands as well as regional, industry, language, and regulatory requirements. Enterprise Labeling Solutions enable you to fulfill customer requests quickly and easily and you can be confident that your labels are correct. Not only will you have fewer worries related to enterprise labeling, you don’t need to stop production or other vital business processes because shipping labels are incorrect. You'll save time, money, and ensure brand integrity. The global supply chain presents tremendous built-in challenges – uncertain economic conditions, ever-changing regulations, and always-growing competition. To overcome these obstacles and avoid adding more problems companies need to use innovative labeling systems. Because information is automatically pulled from business applications,Enterprise Labeling Solutions help firms overcome potential problems and easily customize labels that meet personalized needs. To learn more about the benefits ofEnterprise Labeling, download our Enterprise Labeling for Dummies Guide.